I don’t know who in my house was more excited about the release of Finding Dory, my two toddlers or my 36-year-old, mid-life self. (Don’t judge me.) We’ve been talking about the movie for months, and I even made my daughters a “Days to Dory” countdown calendar for our kitchen. Every day, Nuala would place a special Dory-themed sticker on one of the numbers, helping us keep track of the days remaining until we could finally see this fish-tastic flick! But it wasn’t until I heard more about some of the film’s new characters that I realized this was more than just a summer blockbuster. 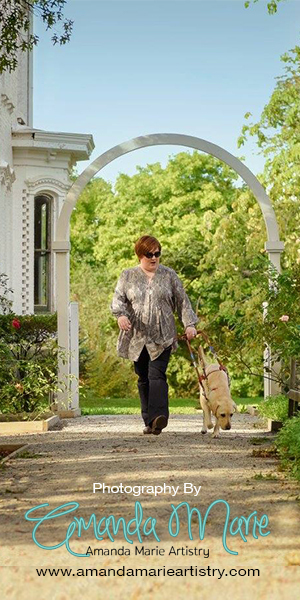 For Blind Motherhood, it was Destiny. My husband and I had been debating on whether or not we would attempt to take both Nuala (3) and Aoife (20 months) to see Dory together. Aoife knows a lot of the characters from both films, but she’s also the type of toddler who can’t sit still for more than two minutes. We agreed he would stay home with Aoife and I would be on my own with Nuala. GULP. I knew my husband would drive us to the theater. It’s quite far from where we live and has no sidewalks to cross safely if I were to travel by bus. But the thought of carrying a diaper bag, cane, popcorn and holding the hand of my three-year-old filled me with anxiety. I started to wonder if I could really do this… alone? Nuala had only ever seen one other movie, The Good Dinosaur, and her daddy was with us the entire time. When I told my little girl that it would just be me taking her to the movies, she was so excited. “Yup.” I said. (Stomach churning).